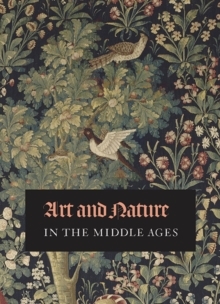 This splendidly illustrated book explores the universal and multifaceted theme of nature as manifested in Western European art of the Middle Ages. Fascinating essays consider the concept in the context of medieval philosophy, theology, and poetry. The masterpieces highlighted here, from the distinguished collection of the Musee de Cluny, span the 12th through the 16th centuries and include an impressive array of objects destined for both religious and secular purposes---from exquisite stained glass and carved capitals to spectacular enameled jewelry, illuminated manuscripts, and woven tapestries. Art and Nature in the Middle Ages provides an essential understanding of the symbolism and significance of motifs taken from the natural world, as well as the technical mastery of the medieval artisans who produced these remarkable objects. Pages: 136 pages, 115 color illus.